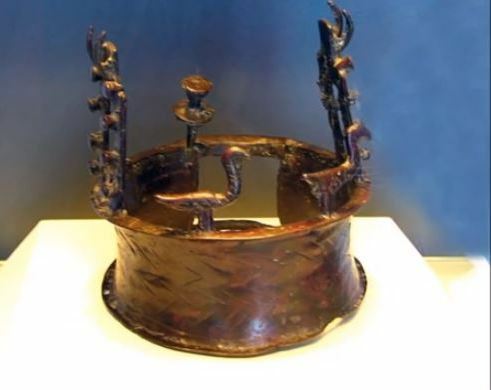 In 1961, an Israeli archaeologist named Pessah Bar-Adon accidentally stumbled upon a marvelous hoard of ancient archaeological relics, including the oldest crown known to man. This discovery consisted of 442 prized artifacts that were made out of ivory, stone and more significantly, copper and bronze. Carbon dating of the reed mat the objects were found wrapped in suggests they date back to the copper age; at least 3500BC and quite possibly earlier. The Copper Age was a great time for civilization. Through the use of copper, humanity saw massive advancements in science and economics. Daniel Master, a member of the curatorial team, said, “The fascinating thing about this period is that a burst of innovation defined the technologies of the ancient world for thousands of years.” But the knowledge, mining expertise and resources necessary were not easily gained. In a time of great advancement, it’s easy to see why over 400 sacred objects were rushed and hidden in the secret cave to protect these most prized possessions. Some of the elaborate artifacts were made with copper that contained a high percentage of arsenic, a mix which is both stronger and more easily cast than pure copper. 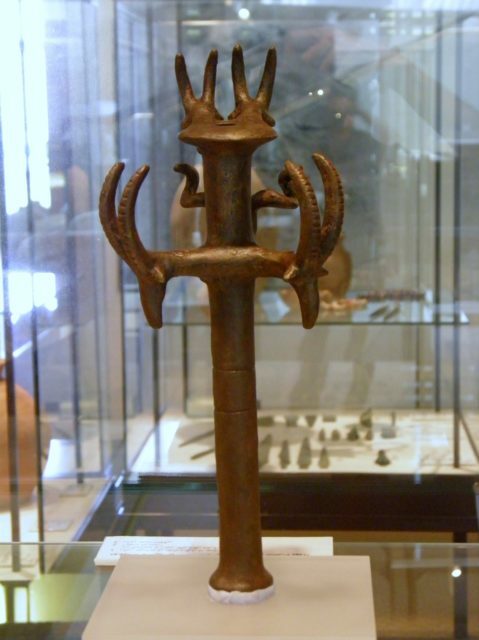 There were elegant scepters with animal heads, ibex heads, and even the shape of a shepherd’s crook. Mac heads were elegantly paired with flanking ibexes, expanded cylindrical bosses, and vertical rows of knobs. It has been suggested that these objects have links to the burial and ritual practices of this time period. The “Cave of Treasures” also holds the first known objects to be forged using the complex lost-wax process, a casting process is also known as precision casting. It is the first known way of duplicating a metal sculpture or object from an original sculpture. In short, the Nahal Mishmar Hoard forms a wonderfully unique and historically significant collection of objects. It is possible that this great archaeological find is actually the sacred treasure from a shrine at Ein Gedi. 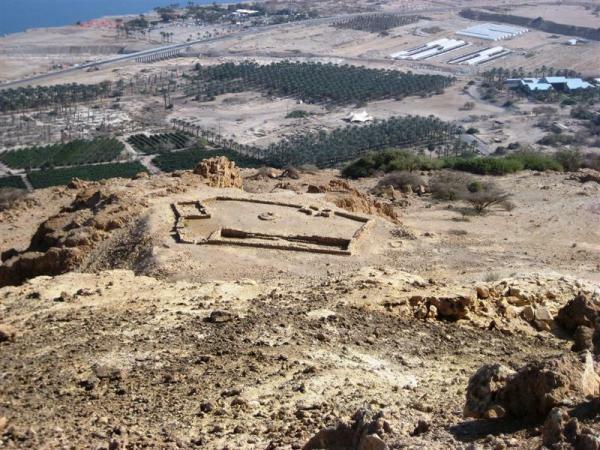 Ein Gedi was a Chalcolithic Temple 12 kilometers away from the famous Nahal Mishmar Hoard; it was mysteriously abandoned during the beginning of the Copper Age. Perhaps the shrine’s treasure was hidden to protect it from some unknown threat, or maybe it was stolen and stashed in the cave for safe keeping. Whatever, the case, it is almost impossible for us to know for certain; the best we have now is speculation. Thankfully, whatever the story behind it, this timeless hoard can be seen at the Israel Museum in Jerusalem, showcased in a permanent exhibit in the famous Dawn of Civilization collection. Next Post:NASA Dropped a 2-Ton Kinetic Missile On The Moon: What Did They Destroy?